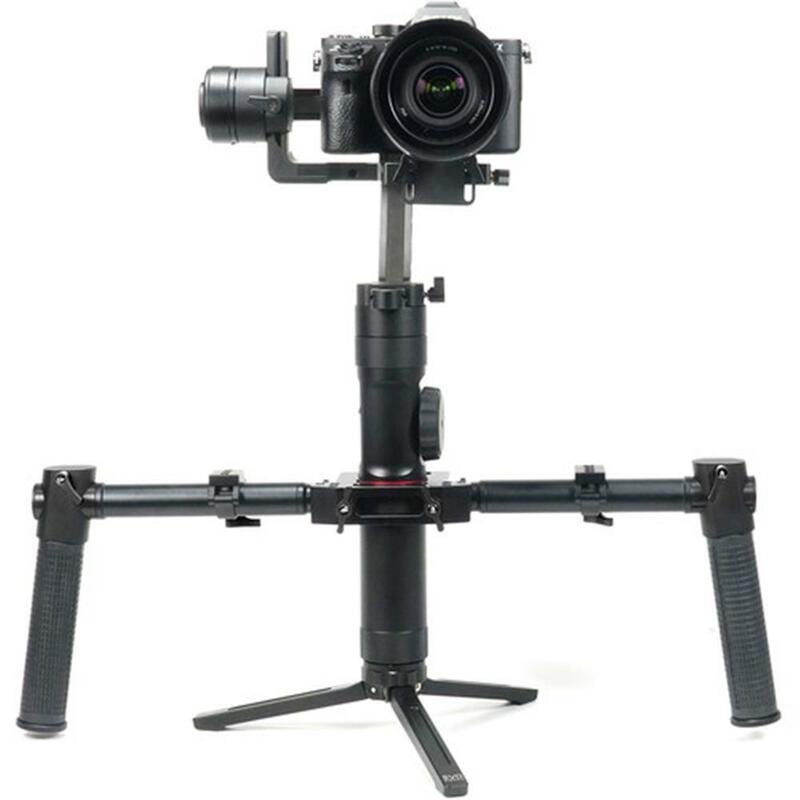 The EVO Pro-Grip is a universal dual handle set designed to work with most single handle 3-axis gimbals and stabilizers. 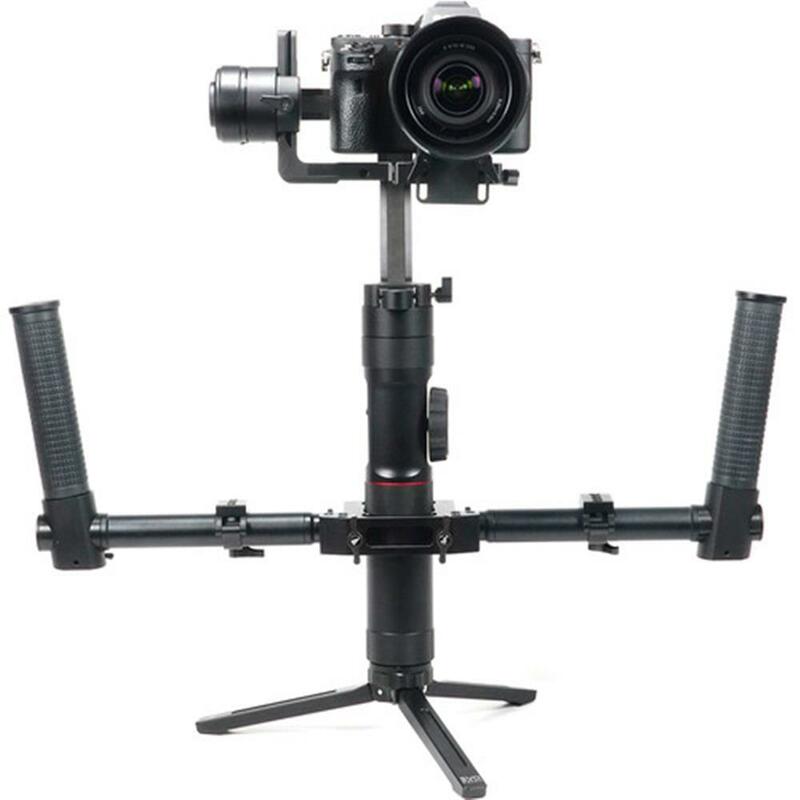 Converting your single handle gimbal into a dual handle configuration allows you to distribute the weight of your gimbal evenly between your hands and also gives you additional mounting options for accessories such as microphones, monitors and even lights. Using the dual handle Pro-Grip kit extends your camera's range of motion allowing you to elevate your camera easily above the crowd while also giving you the ability to shoot low to the ground 'brief-case' style shots. Built from 100% CNC lightweight aircraft grade aluminum, the Pro-Grip's adjustable design features indexed set screws and 360 degree pivoting handle clamps for a true customized feel. 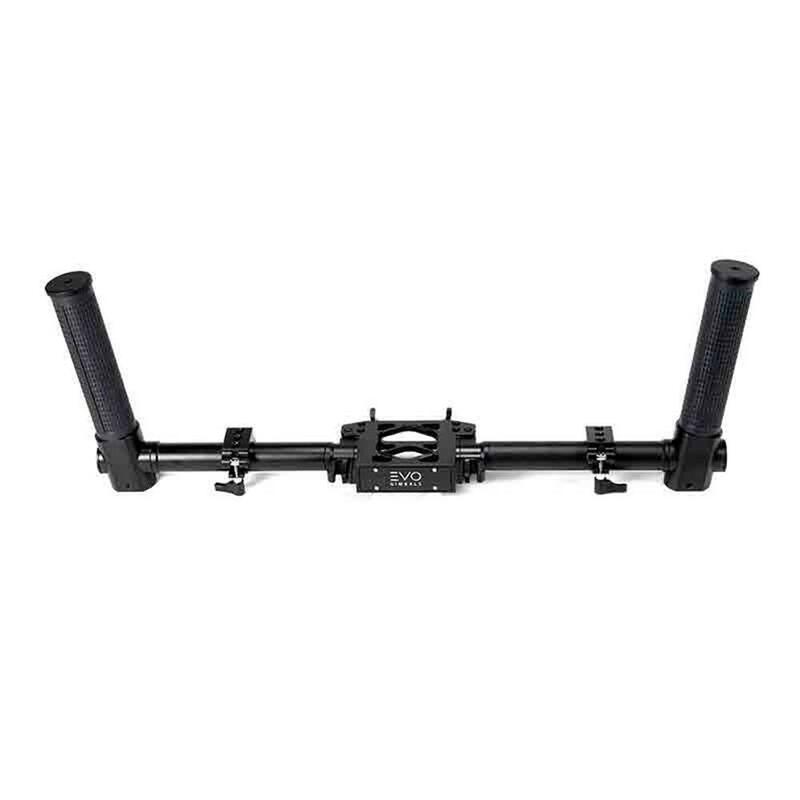 The two mounting bars fold inward breaking the assembly down for easy transport in a backpack. The EVO Pro-Grip comes complete with 2 x 1/4"-20 UNC adjustable rail clamps ready to mount any field monitor, external microphone or spare battery pack.